Welcome and thank you for visiting Pet Rest In Peace Memorial Center & Crematory ... where our specialty is helping you remember your cherished pet. Our family, comprised of a Licensed Funeral Director, has created a "boutique style" modern and inviting pet memorial center and crematory that offers a wide variety of funeral care. One of our specialties consists of an exclusive, private pet cremation at an affordable price. We invite you to witness, wait and return home with your pet's cremated remains within a few hours (by appointment) at no additional fee. Coffee, tea or Perrier will be served during your time with us. We also offer a full line of beautiful pet urns, cremation pendants, clay paw prints and more. Why not check us out on facebook, and leave a comment. We would love to hear from you! 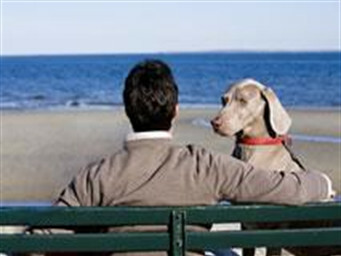 You will have greater peace-of-mind ... knowing that your animal companion never leaves our watchful care. Our Triple Trust™ identification system assures that the identity of your pet is known at all times, and that only their cremated remains will be returned to you. An exclusive private pet cremation will be performed during your visit with us. Your pet's cremated remains will be placed in a lovely, personalized wooden urn, at our Center or returned to your Veterinarian hospital. You may even witness, wait and return home with your pet's cremated remains in about 3 hours (by appointment) at no additional cost. Because of this communal nature, your pet's cremated remains will not be returned but gently placed in a pet cemetery. We are proud to provide complimentary Private Cremation Care for active service animals.